Jean-Marie Guffens-Heynen’s reputation precedes him. Hailed as a master of Chardonnay, Jean-Marie has been influential in elevating the reputation of Mâconnais wines. The success story of his small Vergisson domain has put this little slice of Burgundy on the map. We were fortunate enough to talk to Jean-Marie and learn more about this iconic domain. It was in the 1970s that Maine and Jean-Marie Guffens-Heynen made the decision to pack up and leave their native Flanders. They headed to Burgundy in the pursuit of learning French and becoming winemakers. After a pleasant sabbatical spent pursuing the arts (fine art for Maine, theatre and architecture for Jean-Marie), the Belgian couple finally settled down to achieving their initial dream. Jean-Marie signed up to the viticulture school in Mâcon while Maine worked for various winemakers in the local area. Three years later, they were proud owners of some plots on the slopes of Pierreclos. Today the vineyard spans 5.3 hectares across the hillsides of Pierreclos, Vergisson and Davayé. The vines are treated naturally with not a chemical in sight and the grapes are hand harvested only when they reach optimum maturity (even if this means harvesting in several stages). In the chai, the grapes are pressed gently and then allowed to ferment naturally (native yeast). The wine is then matured sur lies and is never filtered. 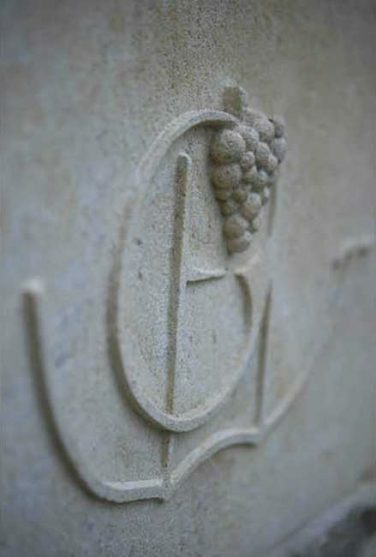 This simple, natural “hands off” approach has bestowed Guffens-Heynen’s wines with a solid reputation: they are celebrated for their purity, precision, generosity, tension and minerality. They have become highly sought-after but can be difficult to procure due to the low quantities produced. Jean-Marie Guffens-Heynen and his colourful personality is a familiar face not only in the Mâconnais. 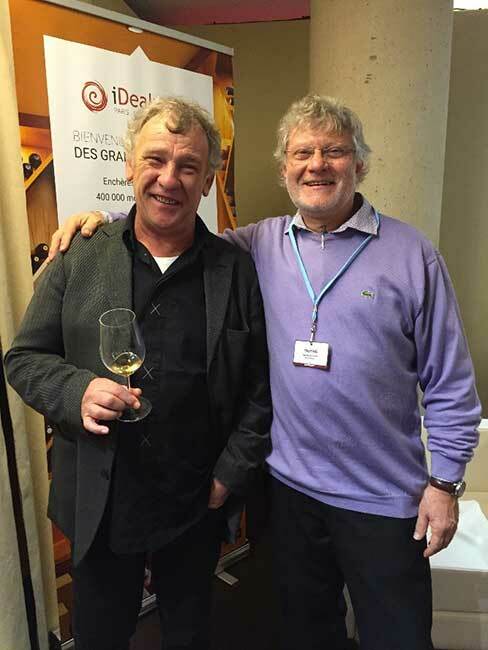 He also owns Domaine des Tourettes in the Lubéron (since 1997) and Château Closiot in Sauternes (since 2017). Domaine Guffens-Heynen has established itself as the ultimate reference in the Mâconnais and Jean-Marie’s talents in the vineyard are a universally acknowledged wonder. His masterful way with Chardonnay has breathed new life into this region. Highly respected by his peers, praised by critics and fervently sought-after by wine enthusiasts, Jean-Marie’s wines have long stood out for their quality. 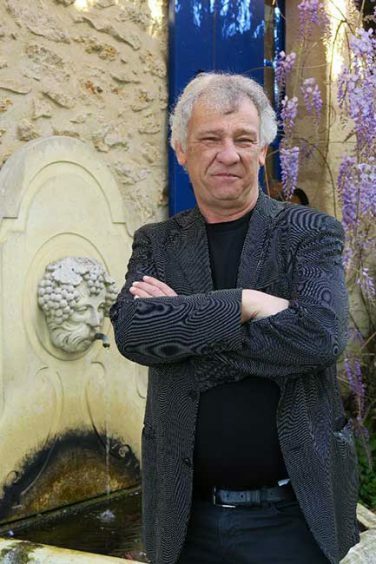 Jean-Marie Guffens: “My (Nietzschean) leitmotif is to let the wines become what they already were”. “Following the example of Nietzsche’s famous words ‘Become what you are’, my leitmotif guides me to let the wines become what they already are. In other words, I want to help them best express their intrinsic qualities (the grapes, the soil…) and help what already naturally exists within them become more evident. That’s the true secret to all of this: the art of expressing what is already there and nothing more. Now, I don’t believe it’s completely down to terroir to achieve this, I believe that the winemaker plays a primordial role too but we must not become influenced by what we want the wine to become. We must simply let the wine express its essence and nothing else. Far easier said than done! “Concentration for me is the most important quality of a fine wine”. I like very concentrated wines and I find that this quality is what makes a wine become a fine wine. It gives it power and length. The problem with concentration is that it can accentuate a wine’s flaws so you need to be very demanding and vigilant, but the pursuit of excellence is always demanding! To reach a good level of concentration, you need to have very low yields (around 33hl/ha) and do a delicate vertical pressing. Next, you must only use the first juice and only the best from the first juice. The danger here is that concentration can lead to oxidation. Those are the only real secrets to vinification. I generally age my wines for 8 months in oak (around 25% new oak) and 8 months in concrete vats. For me, however, oak is only the frame around the painting: it highlights the beauty of the work of art but it is not the work of art itself! A beautiful frame would never replace a beautiful panting! I suggest trying my wines after 10 to 15 years in the cellar, when the oak will have had time to become well integrated and the wine will have achieved great complexity, at this moment the terroir will come into its own. In April 2016, Guffens-Heynen’s vines were hit by a heavy dose of hail. An early spring and a dry summer allowed the grapes to reach good maturity. The hail ravaged vines produced a small volume of grapes and were harvested earlier than the other plots. The other plots were harvested as late as possible so as to reach maximum maturity which proved a great success. The Mâcon-Pierreclos En Crazy comes from young vines from Chavigne, as well as from the pressings of other cuvées. It is seductive and delicious with depth and a pleasant minerality. It matches beautifully with parsley seasoned ham, chicken in a cream sauce or goat’s cheese. The nose is elegant with white fruit and exotic fruit aromas, as well as lightly spiced notes. The mouth shows minerality, power, depth and superb length. Chavigne is a 4.5 hectare plot situated on the steep hills. 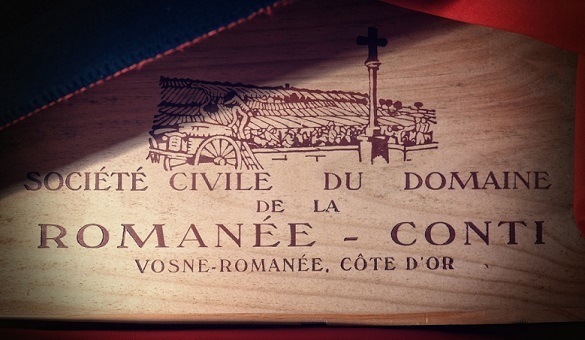 Jean-Marie owns 3.5 hectares, planted with vines aged 10 to 80 years old with a south westerly exposure. 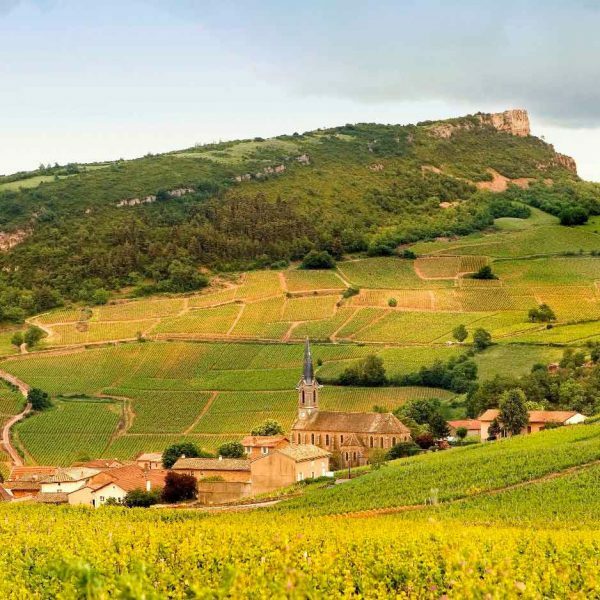 It’s a plot that is often mistaken for Mâcon-Pierreclos, the final Burgundy appellation before becoming Beaujolais. It’s from these limestone and clay rich sub soils that the wines take on their minerality. The wines are rich, consistent and have excellent length. The Mâcon-Pierreclos Tri de Chavigne comes from plots situated up high on the hillside and from grapes harvested relatively late and in several stages, giving the wine concentration, freshness and depth. The nose displays citrus aromas and notes of white peach and honey. The mouth is finely balanced. This cuvée is a blend of young vines planted in 2003 on a poor and rocky terroir (called Juliette), that gives low yields and very old vines. The resulting wine has extreme concentration, high acidity and a pure mouth. Jean-Marie describes this cuvée as “not normal” (but in a good way!). The Cuvée Unique is testament to the quality of its Saint-Véran terroir and a fine Chardonnay. The nose boasts fruit aromas (peach, apricot) and butter notes, a nod to the judicious maturation process. The palate is ample, fresh and has plenty of volume. It pairs perfectly with white eat. The 2016 vintage is particularly unique as, due to the hailstorms, production was practically inexistent. 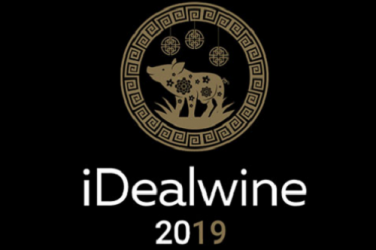 Thanks to this extremely low yield, the resulting wine is rich and stylistically very similar to the 2015. The Pouilly-Fuissé C.C offers up a fruit forward nose (citrus, white fleshed fruit, exotic fruit thanks to an opulent vintage) as well as floral notes. On the palate, it possesses spiced notes that harmonise with the fruit. This wine stands out for its mineral acidity. The Pouilly-Fuissé Tris des Hauts des Vignes delivers aromas of white fruit (peach, pear), yellow fruit, white flowers and mineral notes.The mouth has intense white fleshed fruit aromas and plenty of freshness, vivacity and minerality. On a whole it is very balanced and will age very well. One of the best French wines is produced by a couple of Belgians. Maine and Jean-Marie Guffens-Heynen came to the Mâconnais in 1976. After studying architecture and theatre, Jean-Marie Guffens-Heynen began his viticultural education at Lycée de Davayé while Maine worked for local winemakers. They soon bought their small domain and in 1979, bought plots in Pierreclos (3.3 hectares). Today, the domain has vines in Pouilly-Fuissé, Saint-Véran and Mâcon-Villages. Jean-Marie Guffens-Heynen is also a negociant for Maison Verget. 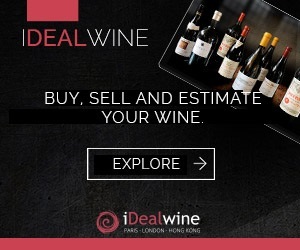 The wines from this domain are revered by white wine enthusiasts. 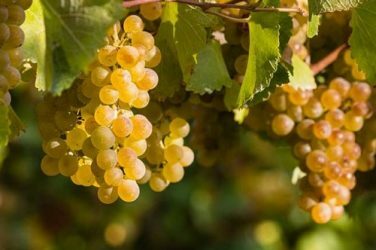 Principally sold at export, they are difficult to find, particularly the Mâcon Premier Jus de Chavigne and the Pouilly-Fuissé C. C.
We take you on a tour de France of each region's symbolic varietals. 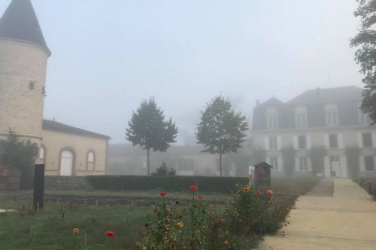 It’s official: Château Guiraud will not be producing its first wine in 2018, as the damage caused by the hail was too severe.